Students will gain valuable insights and comprehension of God's everlasting gift: His Son. 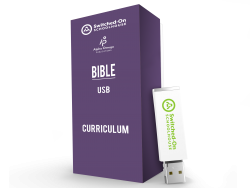 Exclusively designed, Switched-on Schoolhouse 7th Grade Bible entertains as it explains the meaning of worship, mankind's sinful nature, and God's divinity. Other easy-to-grasp lessons include studying the purpose of Advent, how to live a balanced life, forms of worship, Psalms, and Hebrew poetry.